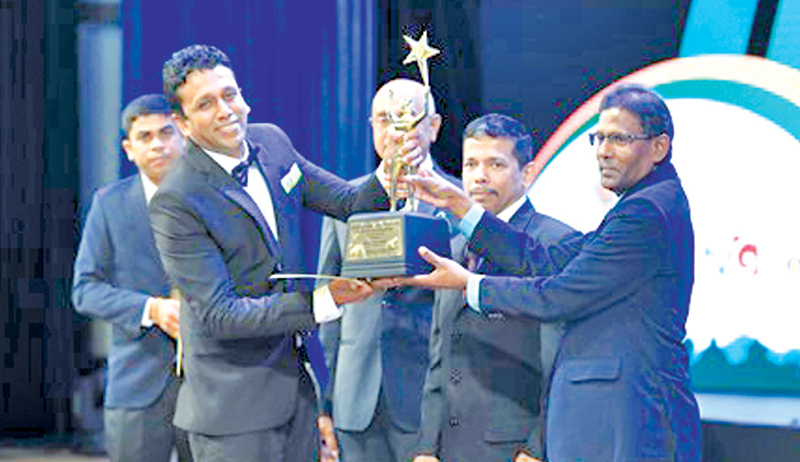 The Revolutionary edible packaging manufacturer, the Waffle Boy, won the National Gold Award in the Small Category and the Gold Award for the Small Category of the Western Province, at the Entrepreneur of the Year - 2018 awards ceremony organized by the Federation of Chambers of Commerce and Industries. With time, the company managed to introduce a range of innovative products such as edible cups, edible cutlery, different shaped tartlet shells, ready to eat fruit cocktail and instant fried rice. Waffle Boy ventured into the hotel industry by producing various shapes of tartlet shells which were unique to the Sri Lankan market. Waffle Boy, during a very short span of time, has come along a successful journey and has won several awards including; the Best Innovator Award in the years 2015 & 2016 at the Innovators’ Day organized by the University of Sri Jayewardenepura. In 2015, the company managed to move in to its own building and obtained ISO 22000, GMP, HACCP. Currently, the company has provided 20 employment opportunities. Chaturanga Kariyawasam thanked his staff members for their tireless contributing in achieving this remarkable feat, while his vision was to introduce new products to overseas markets and build up an international brand.